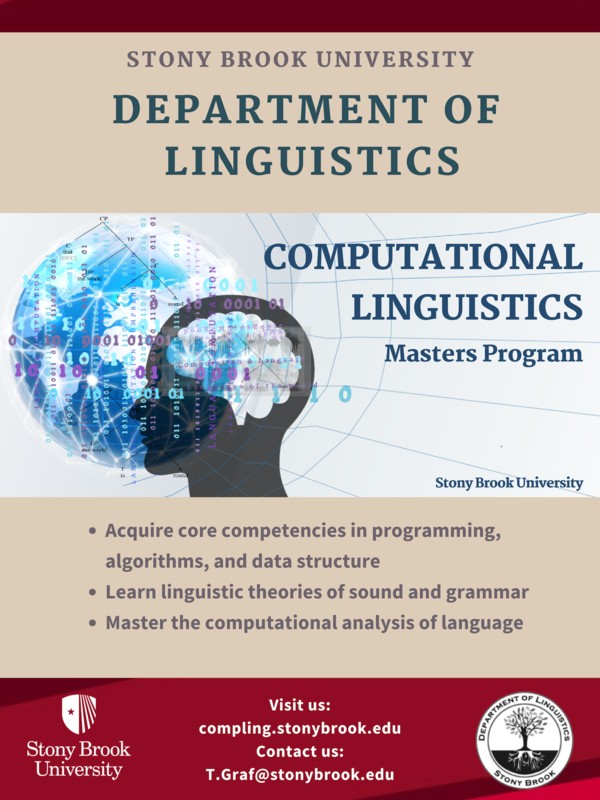 Our 3-semester program is designed to get students with little background in linguistics and programming to a level where they are ready to take on an internship after two semesters and enter the job market at the end of the third semester. As one of our graduates, you will have acquired core competencies in programming, algorithms and data structures, advanced mathematics (algebra, logic, statistics), linguistic theories of sound and grammar (syntax, phonetics, phonology) and the computational analysis of natural language (automata theory, complexity theory). You will also have practical experience with existing software solutions and toolkits that are widely used in the industry. This diverse, interdisciplinary skill set will allow you to take on a variety of positions in the IT sector. You will be able to evaluate existing solutions with respect to their linguistic adequacy as well as design and implement new solutions in a rapid prototyping environment. You may also act as the link between teams of linguists and software engineers in large-scale projects. We put a strong emphasis on teaching not only techniques that are currently state-of-the-art, but also the theoretical foundations of computational linguistics. While the former are often short-lived, theory has a much longer half-time and will still help you in your job decades from now. We also integrate theoretical linguistics very tightly into our curriculum. We expect that as language technology progresses, the IT industry will shift its focus from simple solutions for very limited tasks to more challenging problems that require linguistically sophisticated models. A strong linguistics background will allow you to boldly move into these emerging areas and set yourself apart from software engineers and machine learning experts. Please note: The deadline for MA computational linguistics admissions is April 15.